It is clear that Nike is making a concerted effort in increasing the energy surrounding its brand new Air Max 270 silhouette. Initially introducing in simplistic color schemes that highlighted the lifestyle engineered Air Bag unit, the Swoosh is circling back and adding some fan favorite color schemes to the new innovation. We first provided exclusive looks at the “Dusty Cactus” and “Ultramarine” colorways, and now the lesser-known “Grape” rendition from an original Air Max 95 version joins the fray for the heritage-inspired colorways that are due out in March. 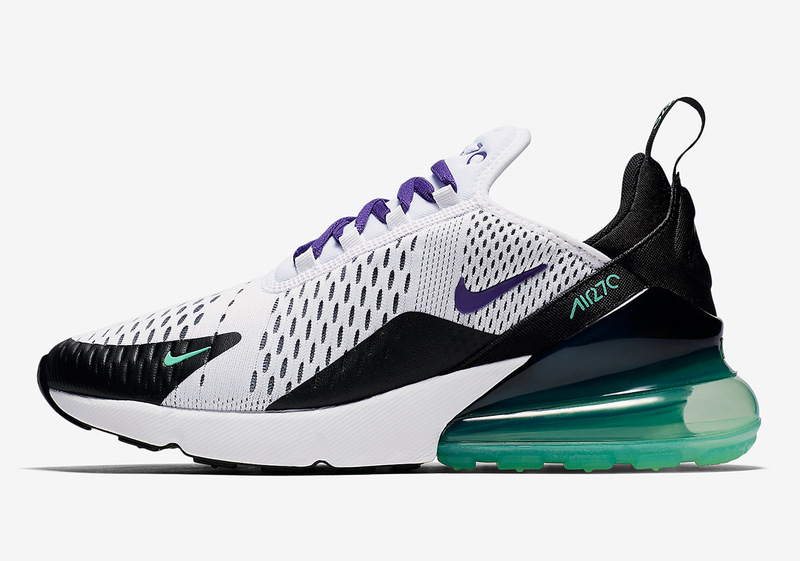 Stay tuned to Sneaker News for release updates regarding the Air Max 270 “Grape” and other colorways.